Who among us does not love Trader Joe’s, that ubiquitous purveyor of cheap wine and delectable slightly-exotic foodstuffs? TJ’s is often our go-to source for nacho ingredients, as they offer a much more varied selection of chips, cheeses and salsas than your average grocery store. But we’ve always known that there is potential for much, much more. In this latest installment of Nacho Patrol Originals, we head to Trader Joe’s in search of specialty nacho inspiration and end up creating one of our best nachos yet. and commence liberal application of cheese sauce. Pop that baby in a 350 degree oven for about 7 minutes to warm things up and make sure the brie sauce is extra viscous. 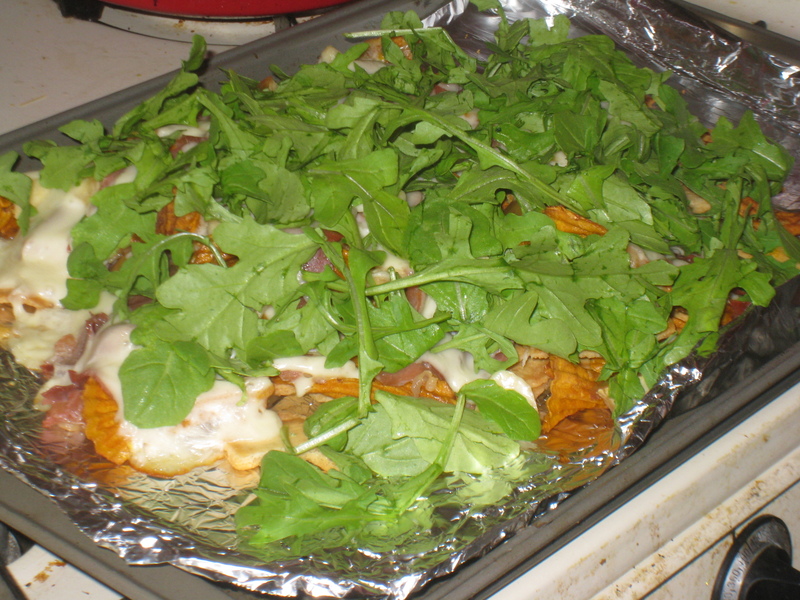 Once it’s out, the finishing touch (that really qualifies these nachos as foofy): a dusting of arugula. And consume! 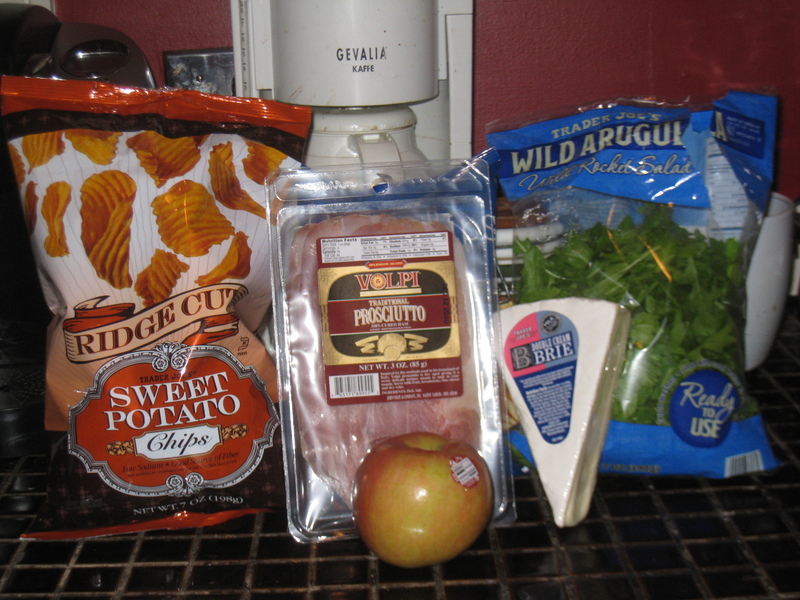 We loved these nachos: the sweet potato chips held up admirably, the brie was perfectly melty, the sweetness of the apple and saltiness of the prosciutto played well off each other, and the arugula added a lovely fresh bite. Perhaps in the future we will get more adventurous with the apple, turning it into some sort of salsa. The creation of a cheese sauce has opened up new worlds for us, imagining all sorts of pairings with cheese that normally don’t melt well enough for nachos. This one’s a keeper! 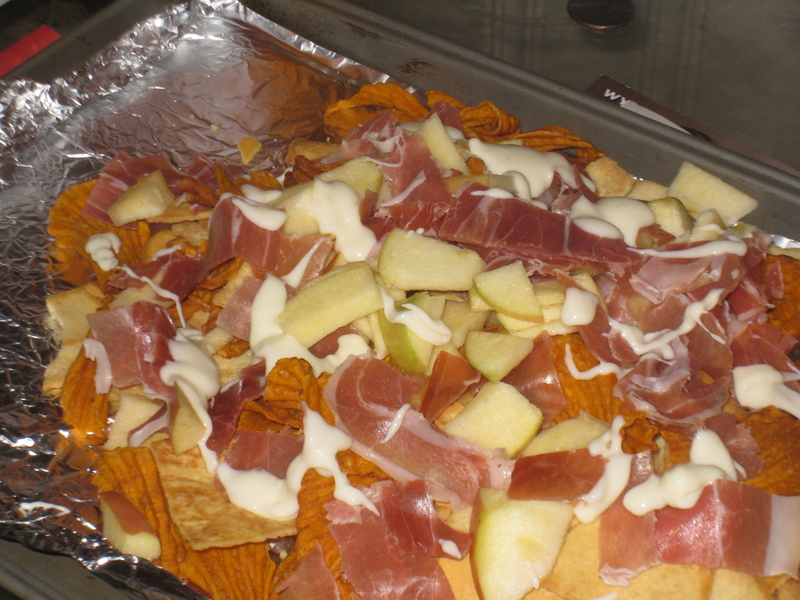 Wine note: these nachos pair well with a nice 2009 Charles Shaw Sauvingnon Blanc. Love this idea. 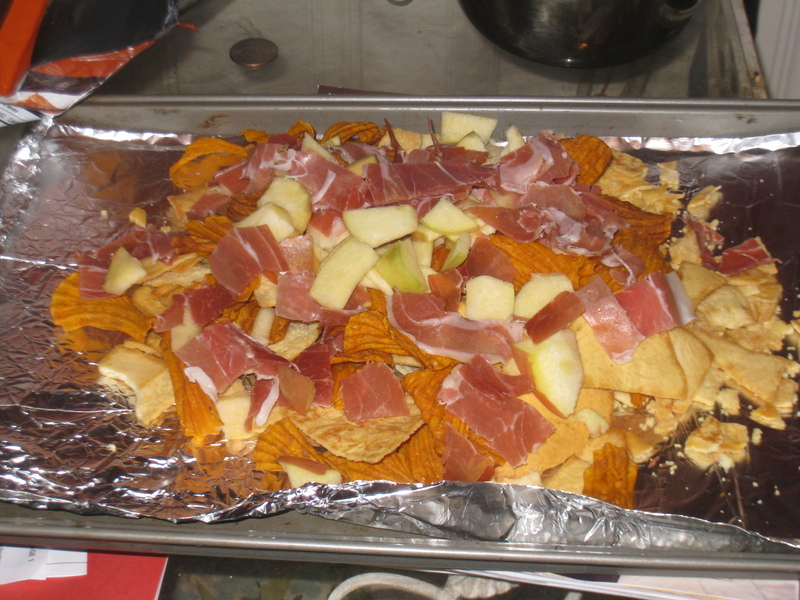 It’s crazy too, cause I was just dreaming up a Nacho Patrol original called “Old World Nachos,” and I was thinking of using brie and even prosciutto. Maybe I’ll switch to chevre and some other sort of meat (sausage?). What a clever idea! And there’s greens involved so that makes ’em healthy, right? Just stumbled upon your blog and happy I did! Love nachos! why are there two coffee makers in the background? 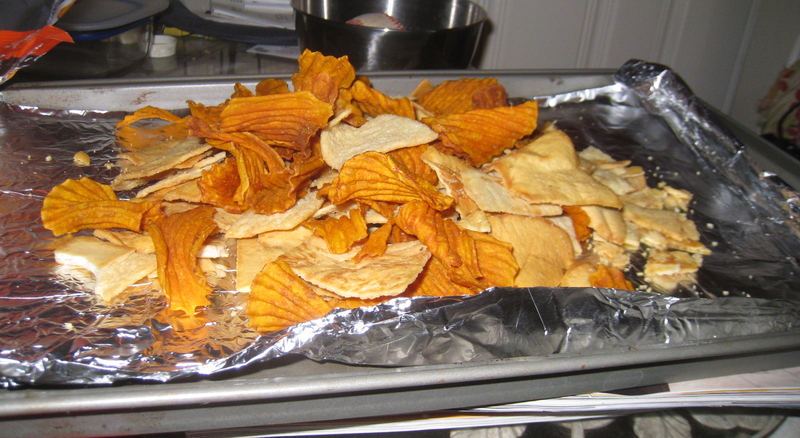 Nacho Scout Motto: Always Be Prepared.